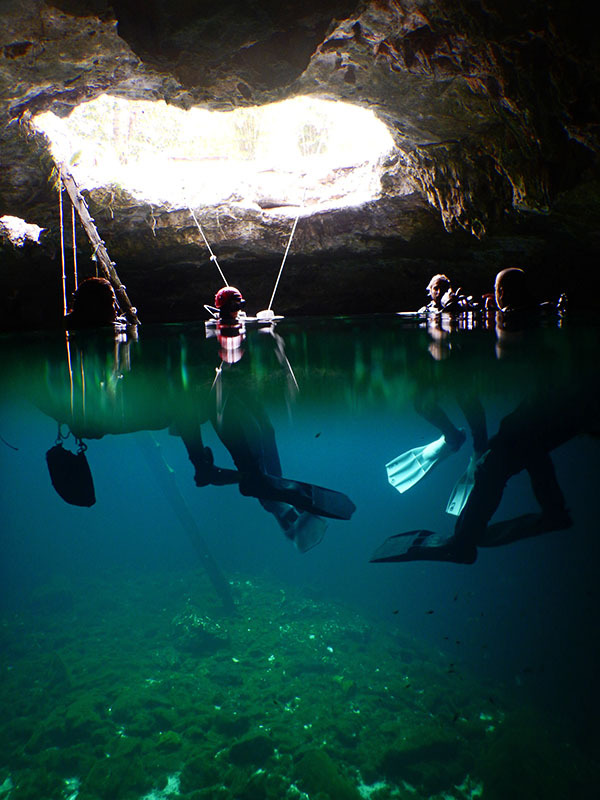 Been diving in Calavera Cenote? Please Vote! 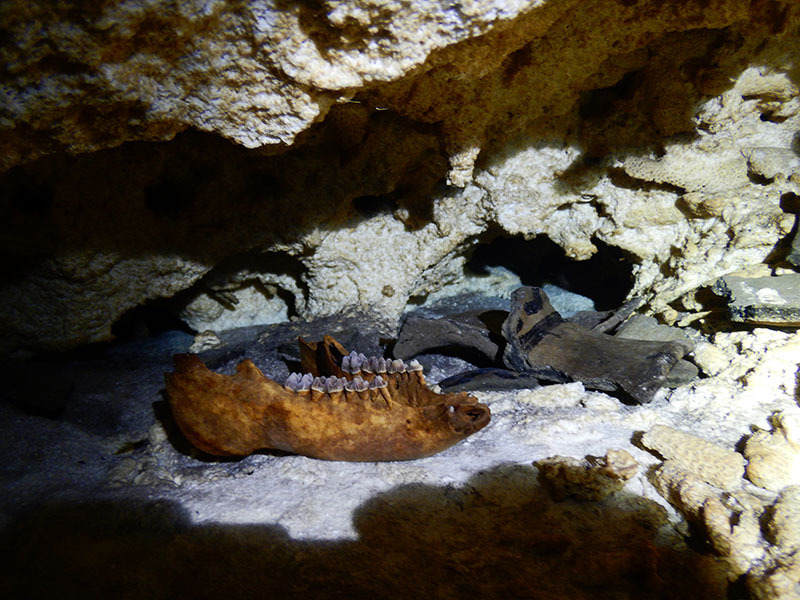 Calavera is an interesting cenote. From the top, it looks like a skull (hence its name) with two smaller holes for eyes and a bigger hole representing its mouth. A two-meter jump into the mouth, starts off the dive. The water is a greenish colour and the cenote fish are grazing below us. I lead the divers behind the steep slippery staircase in the middle of the hole which is our exit and find the cavern line which starts the dive. 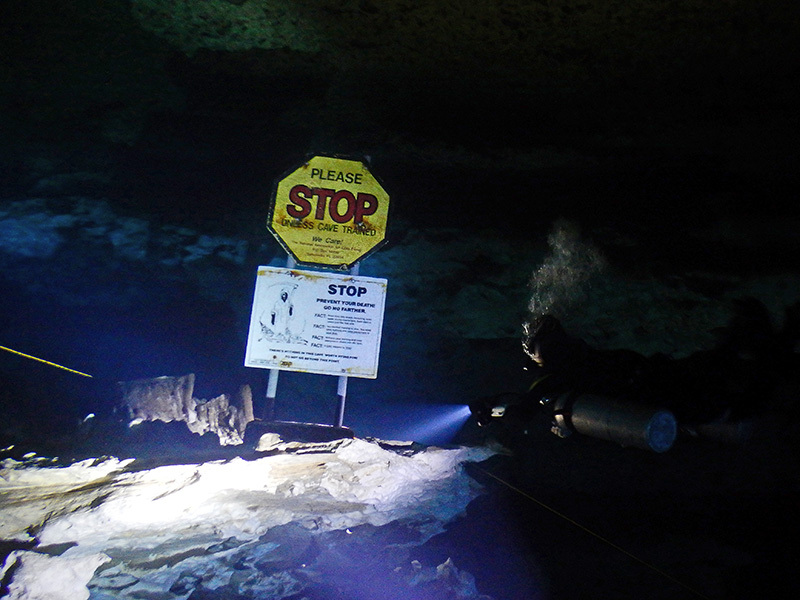 After a few fin kicks into the cavern we get to a cave sign signalling untrained divers not to pass. We take a left and start swimming our circle around the “skulls’ mouth”. As we get deeper we cross through the halocline. This for me is always the most fascinating part of the dive. Seeing the two distinct layers of water of different densities; the salty warmer layer on the bottom and the lighter fresh water on the top. When you swim through it with your head just out of the salty layer it looks as though the fresh water is air. Mixing the layer creates a funky blurry effect and makes the water look vicious. When we get back to the sign we had seen in the beginning I take the divers up above it to find the jaw bone of a long-dead animal and the piece of ancient Mayan pottery displaced there. After another circle around in the other direction gazing at the stalactites dropping down from the ceiling, we end dive, climbing up the steep ladder trying not to fall off. The Author: Kira is a PADI MSDT, Full Cave Diver and holds an M.Sc in Marine conservation and Biodiversity. Map of Yucatan Peninsula, Calavera Cenote dive site.